A combination of 3 cheeses brings the classic grilled cheese to a whole new level. 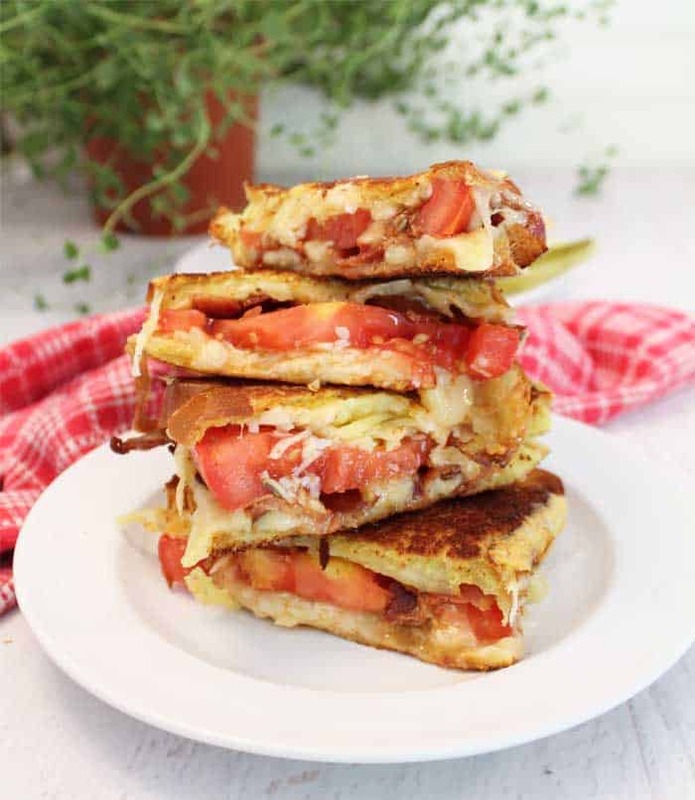 This Gourmet Grilled Cheese Sandwich with bacon, tomato & a rub of roasted garlic will spoil you for any other sandwich! 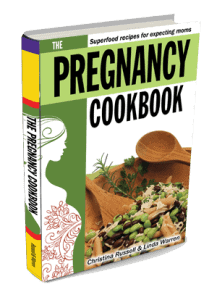 Now what would you eat if you could eat anything you want? 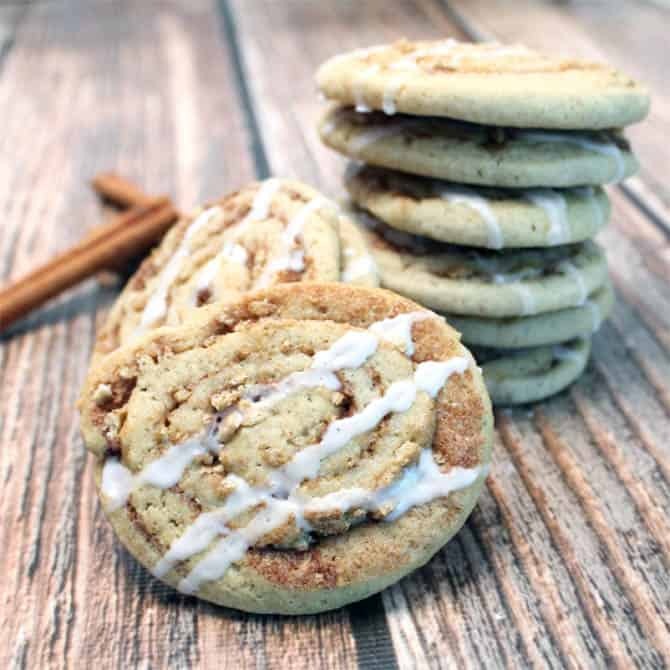 Well, it’s National Eat What You Want Day, so calories don’t count – right?! So what would you choose? 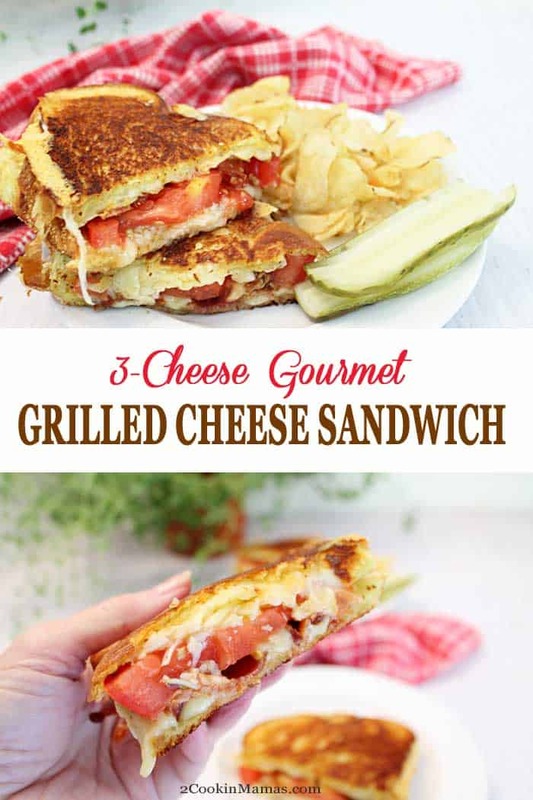 Ummm, maybe No-Churn Death by Chocolate Ice Cream, or maybe Key Lime Pie, ummm nope, I think right now, if it was me, I’d go for this extra cheesy delicious gourmet grilled cheese sandwich. And the one that I’d want on my plate would be my moms. She honestly made one of the best grilled cheese sandwiches you’ll ever taste! 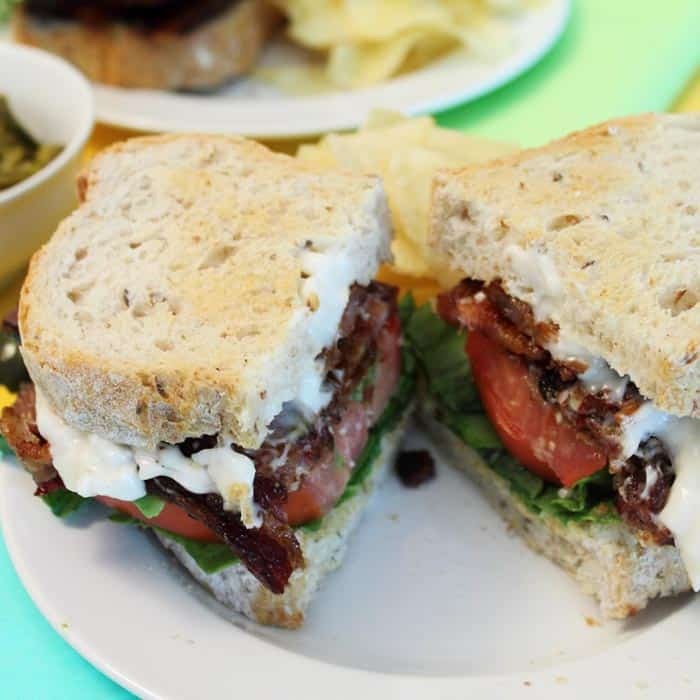 This sandwich is high on flavor with a roasted garlic clove seasoning the toasted bread, crisp smoky bacon and three delicious cheeses piled high in the center. Why three? 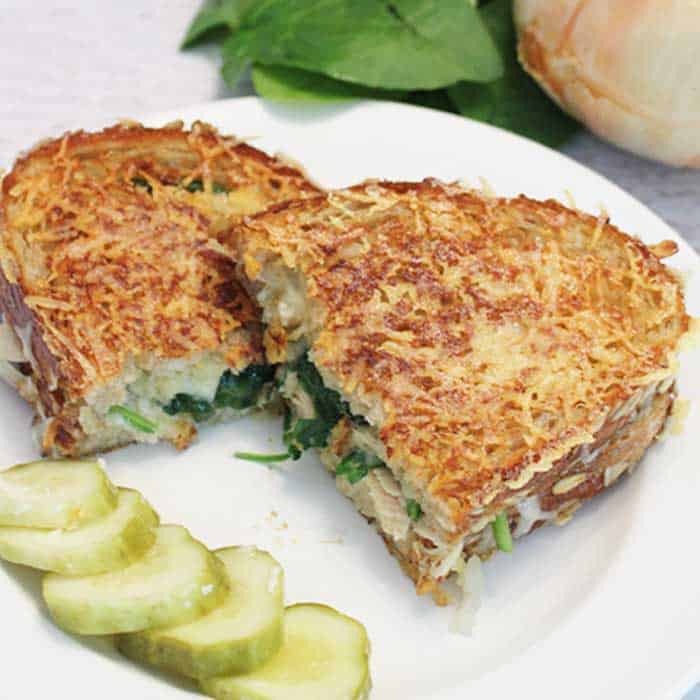 Well, the Gruyere cheese melts beautifully and brings a subtle, sophisticated taste to the sandwich while the fontina adds a buttery, nutty flavor to the mix. Add in the sharpness of the Pecorino Romano or, if you like, Parmesan, and you have a sandwich fit for a gourmand. 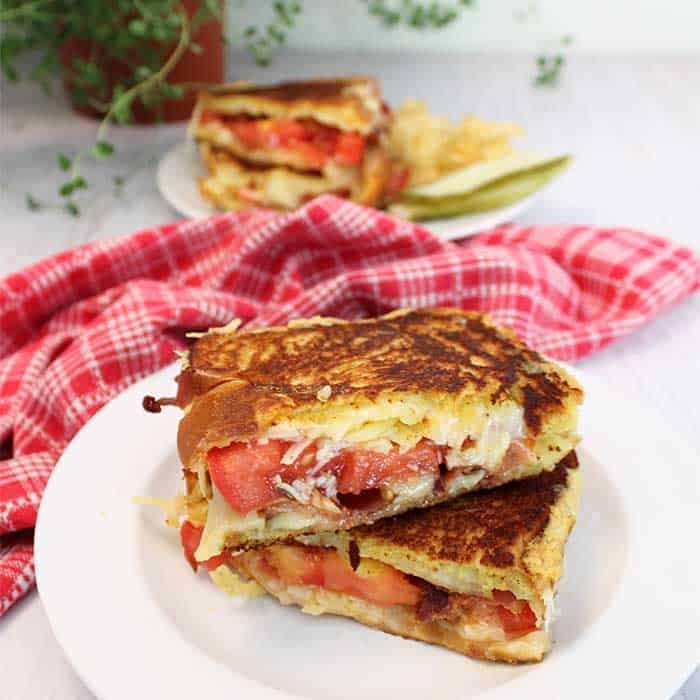 And this gourmet grilled cheese sandwich is really simple to make! The hardest part is shredding the cheeses. Easy, right? After that it’s just a matter of piling it on the bread and watching it melt into a gloriously rich “I can’t wait any longer” to eat it lunch. 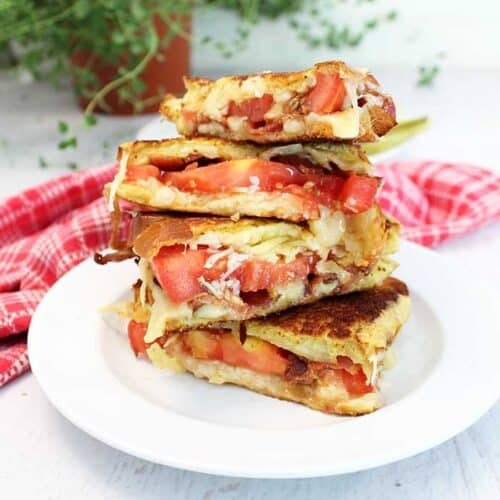 I mean, really, you can’t go wrong with this grilled cheese sandwich! 2. Grate all 3 cheeses. 3. 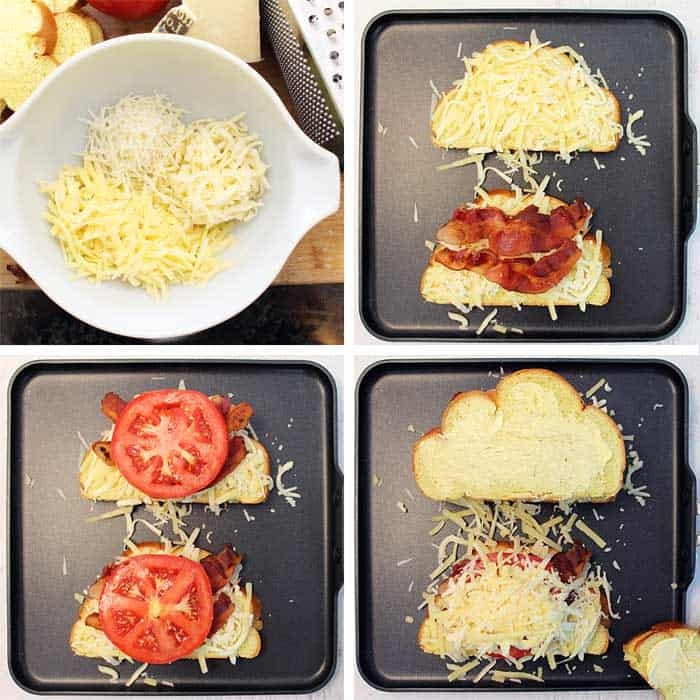 Butter bread on one side, place in pan and pile each slice with 1/4 of the grated cheese, followed by bacon. 4. Lay sliced tomato on top of each sandwich. 5. 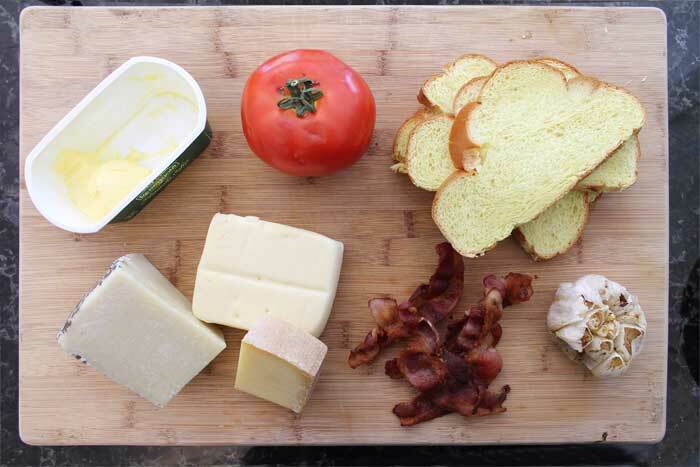 Place the remaining cheese on top of tomato slices then top with slices of buttered bread. Butter side up. 6. Brown on each side. Look at all that oozing cheesy deliciousness! 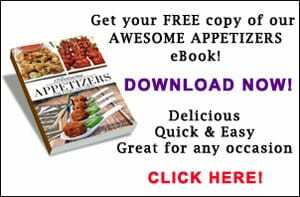 So what are you waiting for – go make it right now and dig in! Yum! 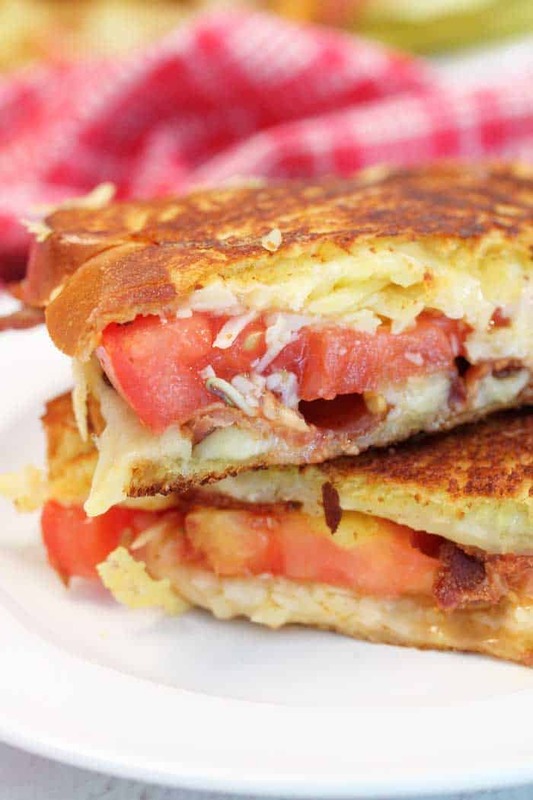 A combination of 3 cheeses brings the classic grilled cheese sandwich to a whole new level. Add bacon, tomato & a rub of roasted garlic & you'll never go back. Combine cheeses and red pepper flakes in small bowl. Butter 2 slices of bread on one side and place, butter-side down, on flat griddle pan. 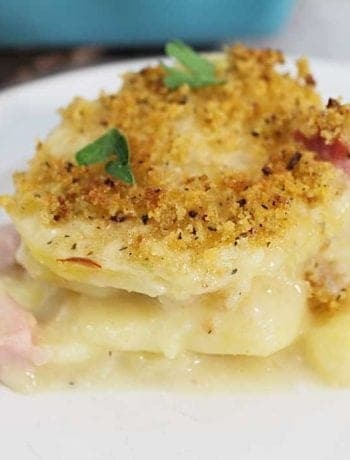 Top with 1/2 of cheese mixture, 2 slices of bacon, 1-2 slices of tomato then remainder of cheese mixture. Butter remaining two slices of bread on one side and place butter side up on top of sandwich. Cook over medium heat until one side is brown then flip over to brown other side. While the bread is still hot, cut the garlic clove in half and brush toasted bread with garlic. This post has been updated. The original post was published on May 11, 2013. Check out these other great sandwiches for an out-of-this-world lunch. I love grilled cheese sandwiches and OMG!!! this looks AMAZING!! 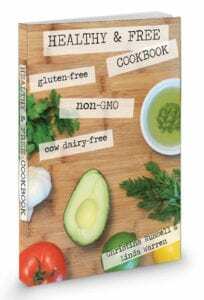 No more boring grilled cheese! 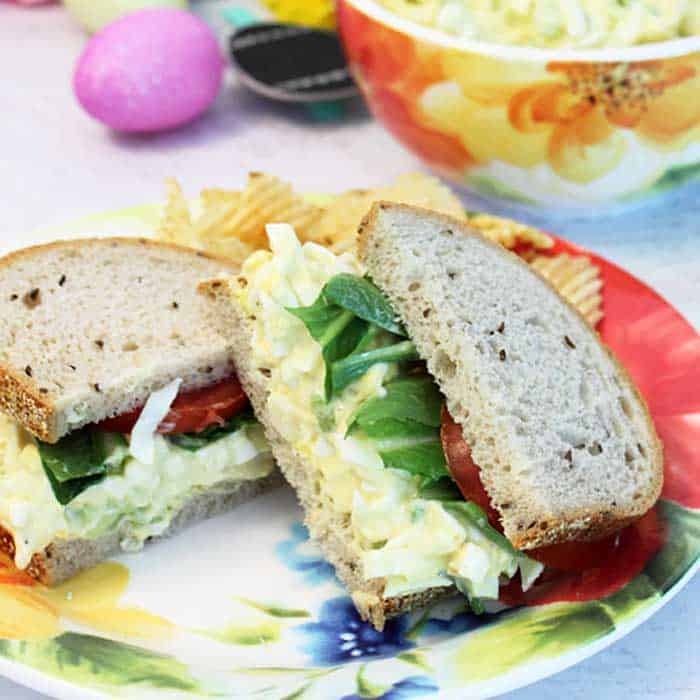 This sandwich is positively fantastic and totally satisfies my craving for something easy and cheesy! It certainly elevates it to a classier sandwich! Full of flavor and definitely not boring! If you like cheesy, you’ll love this! What a deluxe and satisfying grilled cheese. This blend of cheeses is simply the best! Thanks! It really adds so much flavor to the classic.